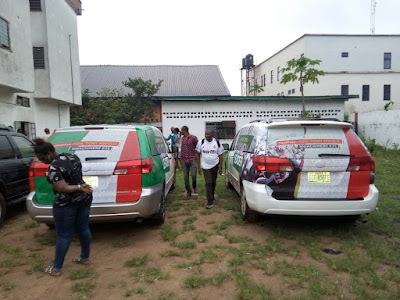 The lawmaker in the Federal House of Representative and the leading governorship aspirant in Imo State, Honourable, Tony Nwulu has donated two buses to Imo State chapter of People's Democratic Party PDP. 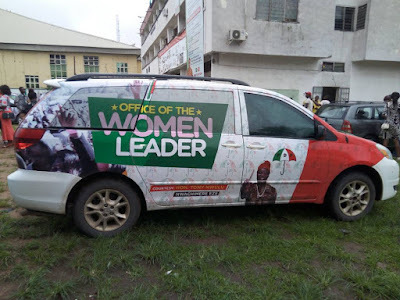 "Not too young to run act" sponsor in the House made good his promise over the weekend in Owerri, as he handed over the two vehicles to the women and youth wings of PDP, Imo State during a welcome reception organised for him by the teeming youths and executives at the party Secretariat, Owerri, Imo State. Hon. 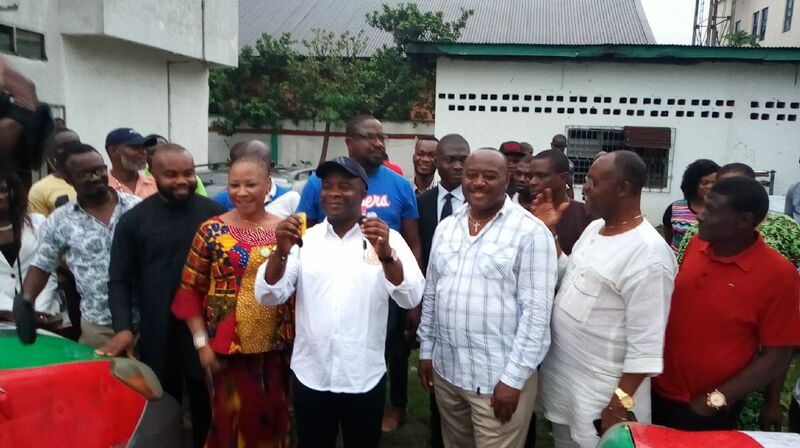 Nwulu who just returned from Brussels on the invitation of European Union Parliament on deliberations concerning investment in democracy in Nigeria stated that the donation was part of his promises to Imo PDP for grassroot sensitisation campaign in line with his 'Mezie Imo' agenda come 2019 mandate. 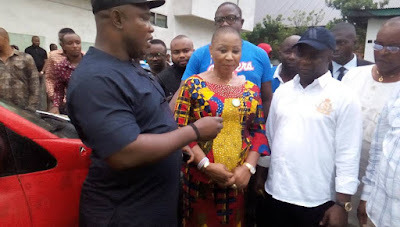 While addressing the Meize Imo Coordinators earlier at his campaign office, the lawmaker who was overwhelmed by the impressive turn out of the youths stated that it is time to put governance right in Imo State. 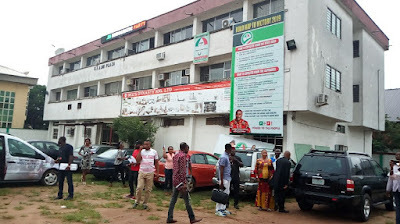 "Imo State requires urgent attention and liberation from the hand of looters. It is time for Imo youths to rise and put things right in our land. Mismanagement of State's funds should stop and be channeled to meaningful projects than erecting baseless monuments. Vote for your fellow youth; one who is prepared to genuinely rescue this State. 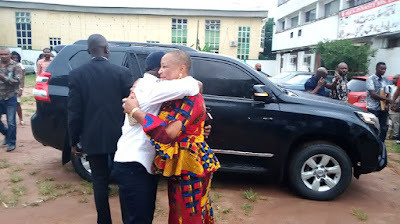 I have come to fix Imo State and restore smiles. Mezie Imo Movement is the answer," declares Hon Nwulu. According to him " my first priority if elected as Governor of the State is to conduct a free, fair and transparent local government election as part of my commitment to democratize governance at the local government level"
The 39 year old lawmaker said he has come to repair the State, stressing that youths would be key components in his administration when elected vowing to curb waste and reckless spending of State funds. Speaking further, he buttressed, "The votes will be counted in our favour and we will be declared victorious because we have made arrangements for international observers to monitor the elections in Imo state. 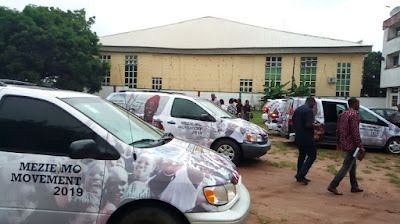 'Mezie Imo' is a movement to rescue Imo state from bad governance. The project is about the survival of Imo people. There must be prudence in governance. The EU are willing to support Imo state once they see we are prudent. Our destiny is in our hands and it's unfortunate that the efforts of the young people are not recognised. I have been thriving for the young people and I have offered myself to serve because this journey is divine," Hon Nwulu added. 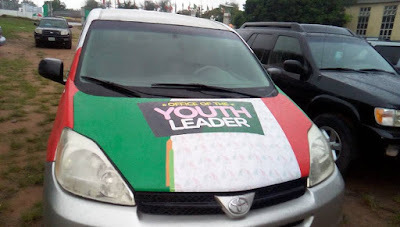 In a response by Imo State Deputy Chairman of PDP, Martins Ejiogu to Hon Nwulu's vehicle gesture, he thanked him on behalf of the youth and women wing and promised that his expectations will be met. 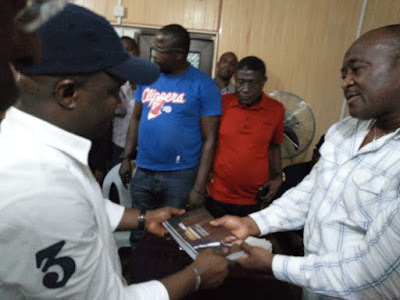 He recalled the tremendous feat of Nwulu in Lagos State where he won election as non indigene and stated that Imo youths will support him in his ambition to change governance pattern in Imo. He further described him as a true son of Imo state who has made the state proud globally through the actualisation of popular youth oriented act " Not Too Young To Run".